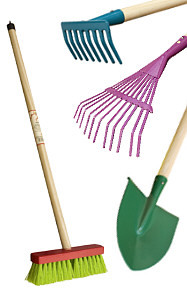 In addition to our existing tool selection we have introduced an assortment of gardening tools for children. The goal is that the little ones can experience the same fun their parents have while gardening. All of the tools for kids are safe, stable, and ergonomically built.